You are here: Home / Arts & Culture / Books N'at / The Found Magazine Tour Stops in Pgh on Sept. 5 – Win Tickets! The Found Magazine Tour Stops in Pgh on Sept. 5 – Win Tickets! It’s funny how things work out – I was sitting here at my desk bemoaning the end of summer fun – I know summer doesn’t end for a few weeks but it seems like the summer fun stops at Labor Day. Then I started reading some of the emails and tweets I ignored while I was celebrating a wedding and trying to squeeze the last few hours of summer fun out of labor day. There is a ton of great things happening in Pittsburgh this fall. 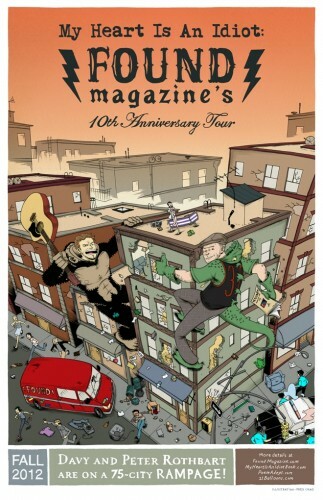 As I was starting to make a list of all of the things I want to post about I got an email from the folks at Found Magazine – they are bringing their 10th Anniversary tour to the burgh on Wednesday. I had just post a link on the BlogLocal Facebook page about a New York Times article “A History of New York in 50 Objects” – and I was thinking I should ask the IheartPGH readers what 50 objects should go into a similar list for Pittsburgh. So I think it is serendipitous that Morgan from Found Magazine sent me an email today. 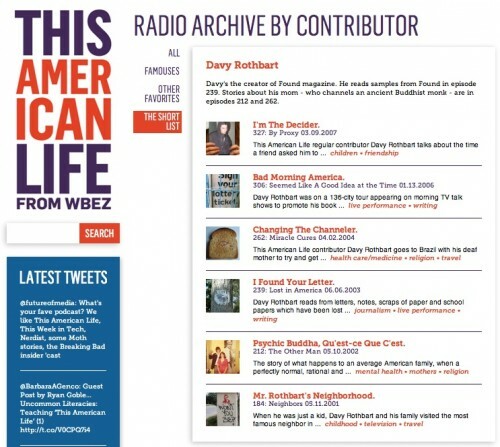 Found Magazine was started by Davy Rothbart – who is a frequent contributor to NPR’s This American Life. Found is all about items that people find and submit to the website. 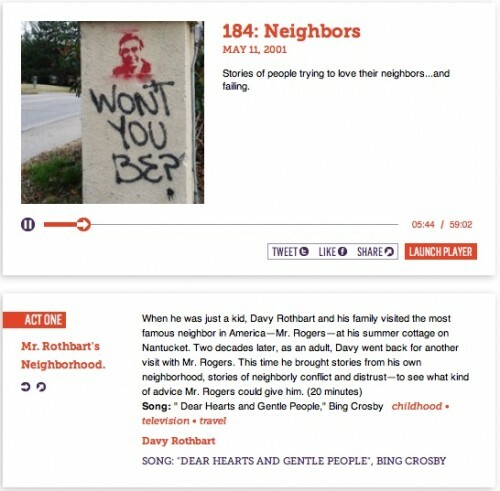 And as I was looking up Davy Rothbart on the This American Life website – it turn out he recorded an episode about his conversation with Pittsburgh’s favorite neighbor – Mr. Rogers back in 2001. You can listen to episode 184: Neighbors here. Which brings us to 2012 – Found Magazine is on a their 10th Anniversary Tour and Davy Rothbart has just published a new book “My Heart is an Idiot” – the tour stops in Pittsburgh on Wednesday, September 5, 2012 at the Hollywood Theater in Dormont Facebook Event Link. Tickets are $7 at the door or you can win a pair of tickets below. Davy is joined on the tour by his brother Peter who the frontman for folk/rock group The Poem Adept and his music was featured 2012 documentary film Mister Rogers & Me. One of the things that I thought was pretty cool about this tour in Pittsburgh – before I realized all of the Mr. Rogers connections – is the idea of two brothers going on tour together. The folks at Found Magazine have kindly offered us 4 tickets to giveaway to tomorrow’s event. So to enter – I ask that you leave a comment about what item you think should go on the list of Pittsburgh history in 50 items. You can also get additional entries by following IheartPGH on Facebook and Twitter. And since we’re limited on time for this giveaway – 3 entries if you tweet about this contest and help us spread the word.